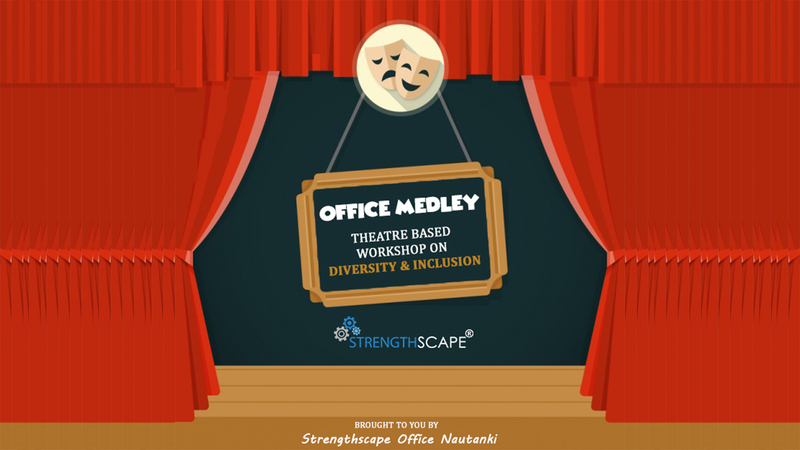 Theatre and allied art forms are used to enrich the impact of corporate L&D programs. The use of skits, mimes and improvisational techniques help in superior audience participation/engagement and convey messages in ways that resonate better simply because theatre is fun and engaging! Theatre brings our imagination to life – what can be better for learning than experiencing real-life scenarios in a fun and safe environment. Diversity & Inclusion is no more just an HR driven initiative, but it has become a business imperative. Research backs the fact that organizations that actively work towards Diversity & Inclusion also have better financial performance. Diversity & Inclusion is about creating a workplace that promotes and respects diversity and is inclusive to leverage strengths of all people irrespective of their differences. The biggest barrier in promoting Diversity & Inclusion are our Cognitive Biases. The workshops therefore come with a focus of articulating the business case for D&I, recognizing common workplace behaviours that are counterintuitive to D&I and recognizing cognitive biases.